Custom Volume and Classic Eyelash Extension applications. Sassy Wink uses a wide variety of lengths, diameters and curls to suit your unique eye shape and preference. Bow to the brow! Services from eyebrow shaping and tinting to waxing to permanent makeup to Microblading and everything in between! Microblading is the manual method of Permanent Cosmetics for brows, RE-INVENTED! With Microblading, we provide clients life-like, dimensional and realistic looking hairs strokes within the brow. Bow to the brow! Services from eyebrow shaping to eyebrow tinting to waxing to Microblading, Ombre brows and everything in between! The sky is the limit! There are countless lengths, diameters and curls to choose from. So whether you are looking for “day to day natural” or “red carpet drama”, your lash artist can customize whatever look you are after. 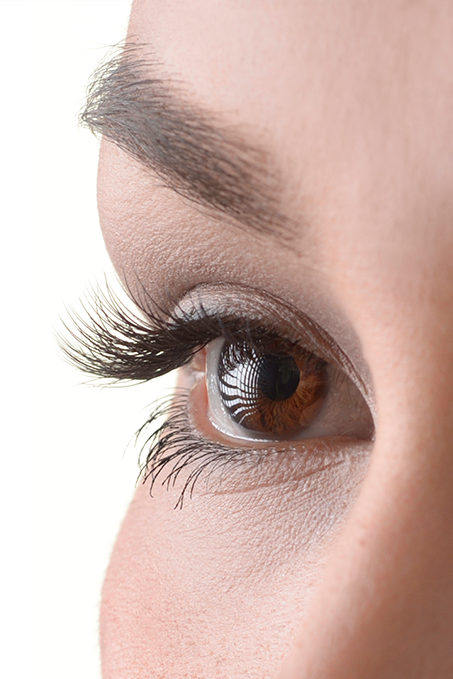 Your lash extension professional will assist you in choosing the right type of lashes that can be supported by the length and strength of your natural lashes. It is your lash artist’s duty to maintain the integrity and health of your natural lashes, above all else. Always be sure to seek out a licensed aesthetician or cosmetologist that has also received advanced education in eyelash extensions. "I LOVE my brows!!!! I waited 3 months for my appointment but I knew she'd be worth the wait. Amber is a true professional, she knows her stuff and is maticulous about her work! Amber created beautiful brows for me and I couldn't be more thrilled with the results so far, thank you from the bottom of my heart Amber! " "I was so thrilled with Sassy Wink! The facility is very clean and serene. Amber is completely professional and is a master of her craft. My nonexistent eyebrows are now nothing short of miraculous and are the most realistic I've had since my youth. I can't thank Sassy Wink enough for shaving at least 20-30 minutes off my time spent getting ready for the day! I would highly recommend Sassy Wink for any eye enhancement procedure." "Love my eyebrow microblading! Virtually painless technique. Have recommended Sassy Wink to several friends. " "It is to be expected that my brows are a drastic change for me and they're still healing, but Amber is the ONLY person that is capable of making my brows look NORMAL. I cant believe its not hair. You have to get IN my face to see its not. THATS how good she is! If it weren't for the awful "wax your eyebrow into the middle of your eye" look, I might have never considered this. Amber spent a lot of time meticulously drawing out my brows making sure they were symmetrical! Look out Brooke Shields!" "Second time in to see Amber and she is a doll! She spends so much time getting measurements and color just right. This was a touch up appointment after a year and a half. I love love my brows! Couldn't be happier and worth every penny!!! Xoxo"
"The first appointment available for microblading was quite a ways out but it was well worth the wait. Amber took the time to explain the mircroblading might be affected by my the older tattooed brows. I am glad I chose to proceed and am looking forward to the second, follow-up appointment in 6 weeks." HD Brow Tattoo - $600 with Amber Price includes complimentary 6 week touch up! *Also offering shaded brow, ombre effect and hybrid techniques. Eligible 18 months to 2 years from your initial 6 week touch up (ideally with only 10% or less of pigment color remaining in skin). Make your lash line lush and full of volume with permanent eyeliner for top and/or bottom! We use a custom color pigment for your eye color and skin tone! This is mean0t to look very natural to enhance your eyes. 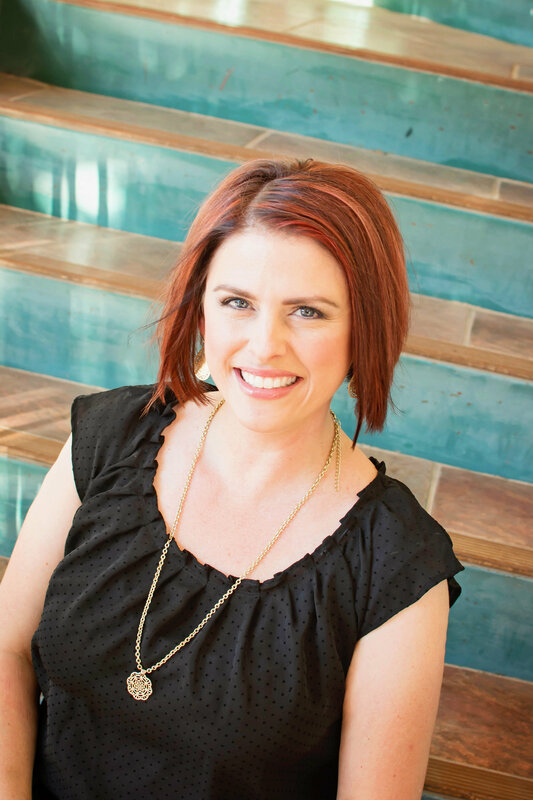 Amber Arrington, Founder of Sassy Wink and Sassy Wink Academy, is a leading educator in the lash and brow industry, with nearly two decades of experience as a licensed Esthetician, Makeup Artist, and specialist in Eyelash Extensions and Permanent Cosmetics. 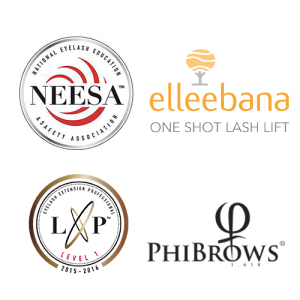 She is also the Founder of NEESA (National Eyelash Education and Safety Association), the professional trade association organization dedicated to setting a global standard for the eyelash industry, bringing eyelash extension professionals and brands together from all over the world. For the past 10 years, this magician of the eyes has practiced in the art of Professional Eyelash Extensions, which led her to establishing NEESA in 2013. Amber is also the Co-Founder of Lash Wars, which debuted in 2014 as the first open call, non-brand-specific eyelash extension competition in North America. Taking place annually in Las Vegas, it has just completed its 4th season, with contestants and judges flying in from around the globe! This year, she was honored to be invited to judge in the Novalash "Lash Off" competition. As a consultant for a leading international beauty company, Amber helps develop lash and brow brands. Also the owner of the Sassy Wink studio and training academy, she is a globally respected lash and brow educator who has taught courses within the International Beauty Show (IBS) in New York and Las Vegas. In addition, she serves on the Editorial Advisory Board of Eye Lash Magazine. Amber discovered Microblading in 2013, instantly falling in love with this amazing technique of permanent makeup for brows! She began immediately studying the technique—also known as microstroking, eyebrow embroidery, 3D brows, 6D brows, floating brow and many other names—and she hasn't stopped pursuing education on this remarkable art. 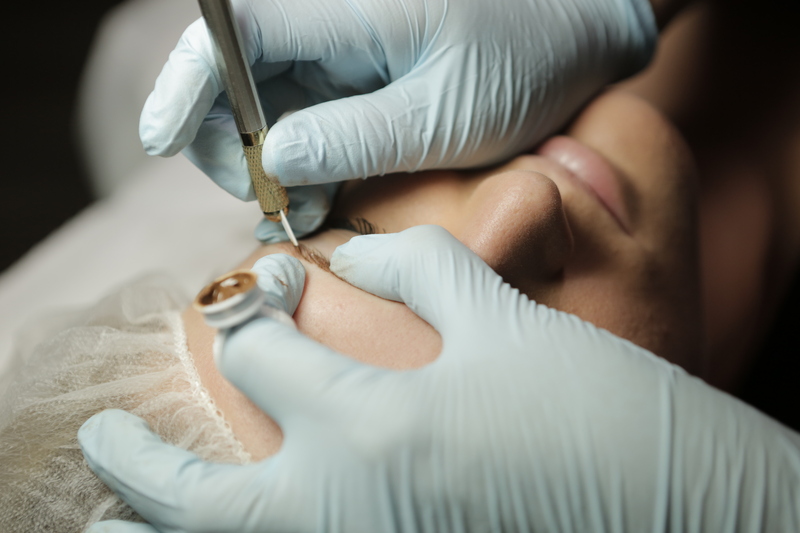 She has studied under some of Europe's leading eyelash masters, including world-renowned microblading artists Irina Levchuck of Lash and Brow Academy in Moscow, Russia, and Branko Babic of Phi Brows from Serbia. Passionate about continuing education, Amber has also studied with Karen Holvey CPCP of the Huntington Academy, attending her intensive 7-day Permanent Makeup course in April 2016 at Huntington Beach. She has also taken in-depth courses on colory theory in the art of permanent makeup, including the "ColorPro" Color Theory Course presented by Marjorie Grimm CPCP in November 2015 and the "Tattooing Living Color" Color Theory course by Teryn Darling CPCP of Girlz Ink in October 2016. 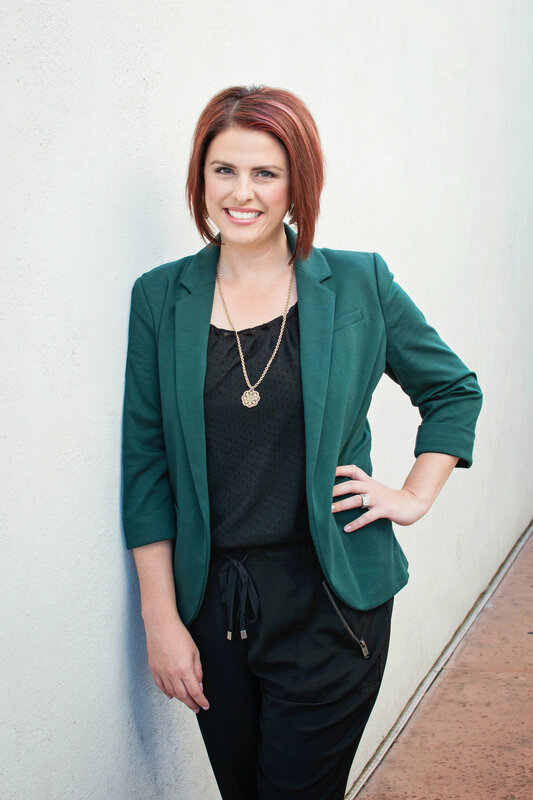 Born and raised in Arizona, Amber Arrington began her career as an aesthetician serving as makeup artist for leading retailers, including Merle Norman Cosmetics, Victoria's Secret Beauty, and Christian Dior. Beauty has always been her fascination and passion. From the moment she was allowed to wear makeup as a child, she began finding friends to put makeup on them—and she's been doing it ever since in one form or another…to the delight of all! FOR INFORMATION ON MICROBLADING ESSENTIALS EDUCATION COURSES, PLEASE EMAIL academy@sassywink.com or visit sassywinkacademy.com! Amber of Sassy Wink has taken inventory of all the most popular options in the current market for eyelash extension training. In speaking and collaborating with hundreds of lash artists who have received training from the BIG NAME companies, there has been one common and resounding take-away… “I wish I received more from my training!” Unfortunately, the big name companies offer 1 or 2 day courses, sell you a TON of expensive product and want you to stay loyal to the brand for all time. Then, you are on your own to find your way of becoming a top notch lash artist. Many are left frustrated and wish they could get more help or worse, give up and quit! Why Sassy Wink Academy is Different Amber of Sassy Wink Academy has developed a COMPREHENSIVE CURRICULUM that is progressive and can literally take a beginner step-by-step to a master level artist! Sassy Wink Academy offers 3 different levels and each course builds upon the next gradually. You can progress as slow or as fast as you want and you will have support as much as you choose to take advantage of it! Sassy Wink Academy does not endorse any one particular brand, but remains neutral and open to the latest and greatest new products as they come on the market. Amber makes it a point to attend every possible advanced education course in the field of lash extensions and is constantly testing new products and supplies. When you study with Sassy Wink Academy, you belong to a community where you can stay up-to-date on the latest trends and the best products to use for your business and where to get them! Amber is the Founder of NEESA (National Eyelash Education and Safety Association), so you can be confident that safety and infection control is of utmost importance and is covered extensively in the curriculum.